30 DAY, FIFTEEN HUNDRED MILE WARRANTY. BUY HERE PAY HERE FINANCING AVAILABLE WITH AS LITTLE AS $788 PLUS TAX AND REGISTRATION DOWN AND PAYMENTS OF $50/WEEK WITH NO INTEREST, CREDIT CHECK, OR FINANCE CHARGE. ALL YOU NEED IS VERIFIABLE STABLE INCOME, RESIDENCY, AND PHONE IN THE LOCAL AREA. CALL LEW AT 203-269-1106. 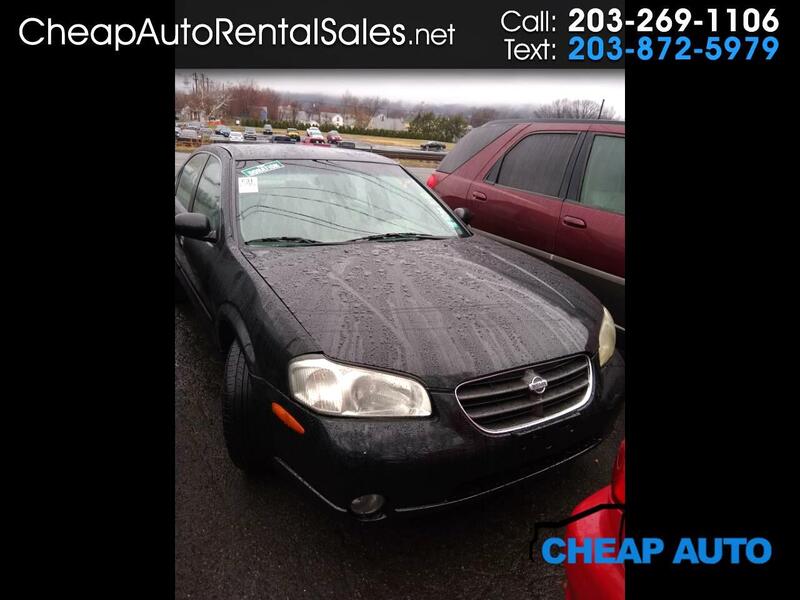 Message: Thought you might be interested in this 2000 Nissan Maxima.